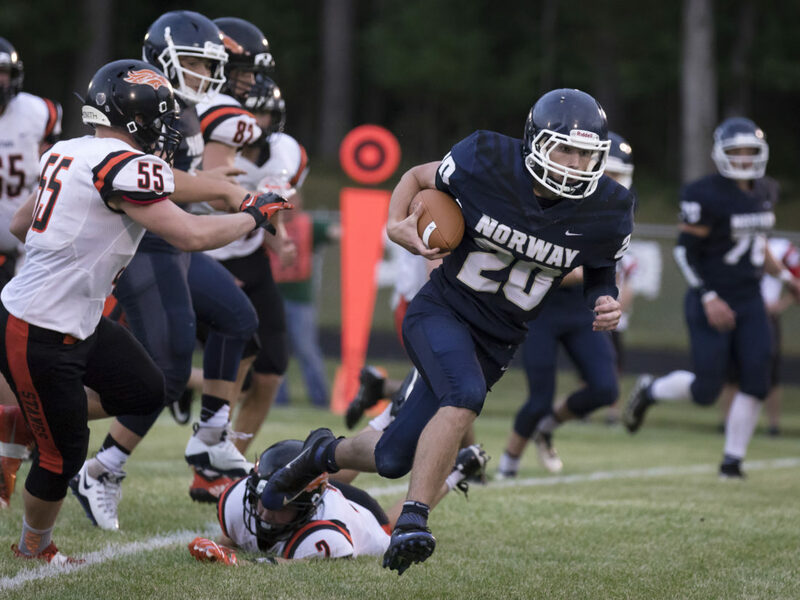 NORWAY — Norway broke a stalemate in the third quarter in a 34-8 win against Munising on Friday. Munising’s Mason Schieding returned a kickoff 82 yards to give the Mustangs an 8-7 lead in the first quarter. Both teams matched each other until Norway sprung to life with 20 points in the third quarter. Mitchell LeGrave ignited Norway (2-0) in the decisive third with two big touchdown runs of 42 yards and 48, respectively. The Knights generated 395 yards of offense including 316 rushing and 79 passing. Meanwhile, Munising (0-2) struggled to get its offense off the ground, especially in the second half. Norway’s defense convincingly stifled Munising. The Mustangs rushed the ball 24 times for 38 yards (1.5 yards per carry). Munising threatened to take control of the game after Norway quarterback Trey Doda threw an interception in the second quarter. The Mustangs drove to the Norway 18 before being stopped on a fourth-and-8. Norway drove the ball to the Munising 40 and Doda fumbled on an option. The Mustangs again took the ball downfield to the Norway 33 as the second quarter came to a close. The Knights defense stepped up again, sacking quarterback Josh Huotari on a fourth-and-14 with no time remaining. Madigan said Doda’s composure after the interception and fumble was reassuring. Doda completed 5 of 7 passes for 79 yards. Huotari threw 8 of 16 for 121 yards. His main target was Anthony Mattson, who caught five passes for 92 yards. Mattson led the Mustangs’ defense with a monster game: 16 tackles (two for loss), forced fumble, interception, blocked kick and two blocked passes. “He’s steady for us. He catches the ball anywhere near him. 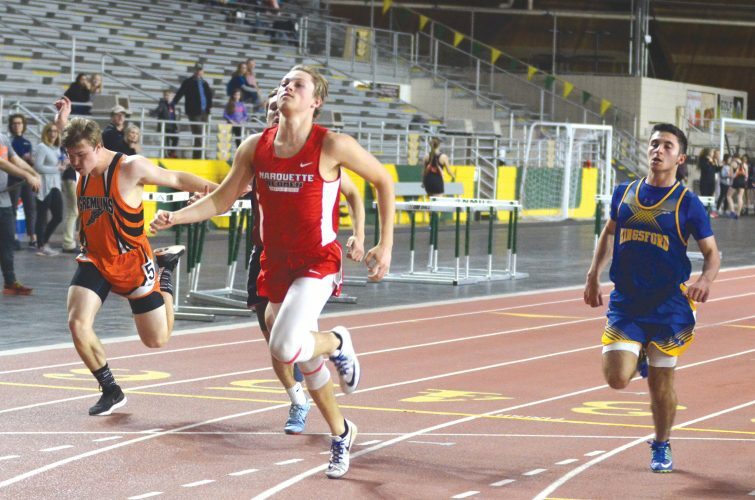 He’s got good hands,” Seaberg said. “He’s done a great job the last three years for us so we expect that out of him. We hope we get it every week. RUSHING — LeGrave 18-187, Janssen 12-53, Hautamaki 2-30, Thompson 8-26, Paulitch 2-12, Anderson 2-6, Doda 1-2. RECEIVING — Anderson 2-42, Janssen 2-24, Hendricks 1-13.